Every female needs a standout piece in their closet. This midi skirt is that garment for you. With its rich colors and its quality it’s sure to coordinate well with your closet. 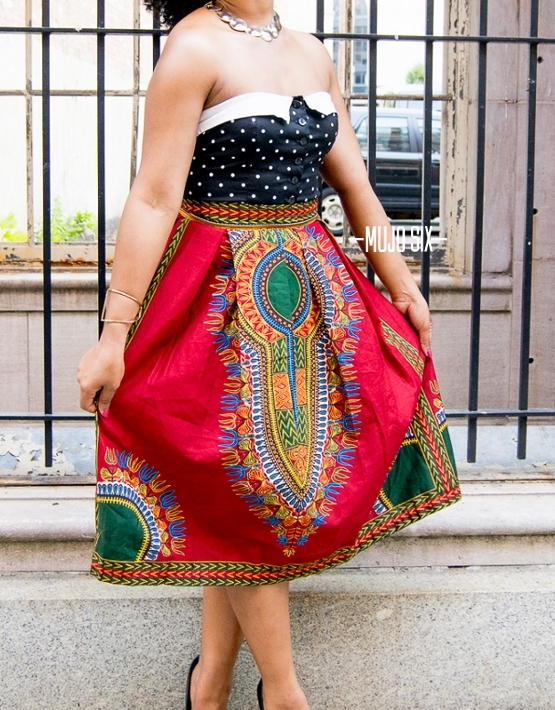 Hand made Dashiki Midi Skirt. Available January 1st 2016.